Steve Dalton is Program Director for Daytime Career Services at Duke University's Fuqua School of Business. Prior to entering the career services industry, Dalton was a strategy consultant at A.T. Kearney and an associate marketing manager at General Mills. He holds an MBA from Duke University and a chemical engineering degree from Case Western University. Dalton has appeared in the Financial Times, Wall St. Journal, and US News & World Report, and he is a regular contributor at The Huffington Post. Dalton presents workshops on The 2-Hour Job Search at dozens of schools across North America and Europe each year, and its concepts are taught at over one hundred universities worldwide. 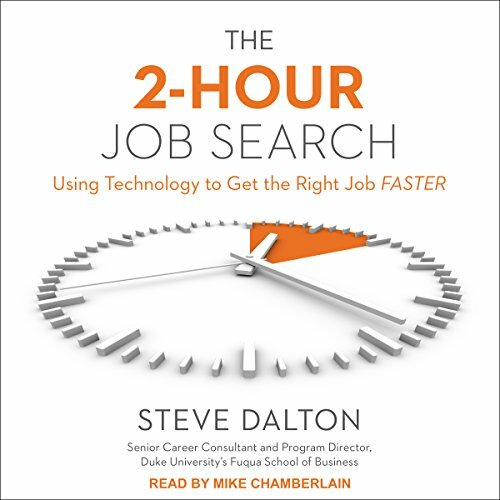 Dalton can be followed on Twitter (@Dalton_Steve), his book's LinkedIn Group (The 2-Hour Job Search Q&A Forum), and at 2hourjobsearch.com. He currently resides in Durham, North Carolina.